As young as three years old, children are able to share stories of their past lives. Though not all of them remember it, we are all born with a clear channel to The Spirit World that slowly gets muddy as we grow old. Thus, it’s possible that young kids are still in tune with that energy. If you’re child is telling you stories of their past lives, they might have strong psychic and intuitive abilities. You can find out more of this by reading the following signs! 1. They are able to read others. 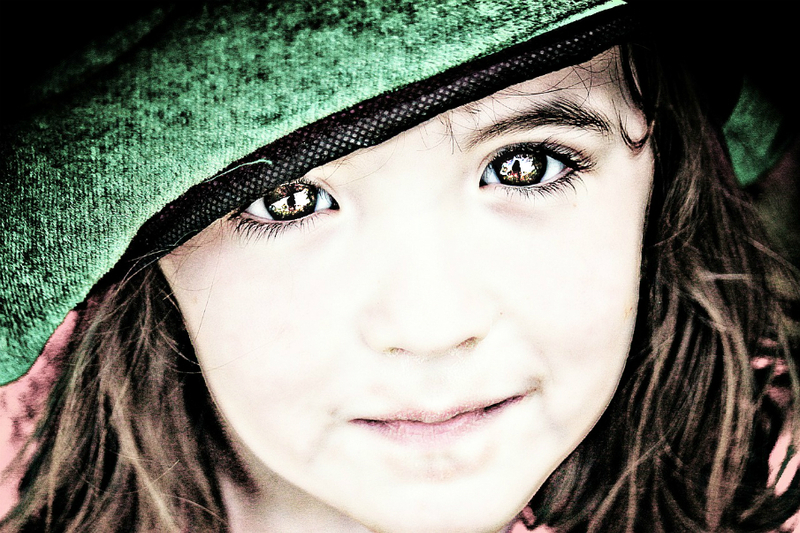 Children who have strong intuition have great instincts about people. As soon as they meet a person, they are able to tell if they are good or bad. Intuitive children can even tell if the person is being honest or lying. 2. They are sensitive to other people’s energy. Even if you don’t tell your intuitive child how are you feeling, they can quickly tell because of the energy they pick up from you. When you enter the room where they are, they can easily tell it’s you even without looking up. 3. They have sleep issues. Because they have active minds, silencing it is a struggle. Their active thoughts also interfere in their sleeping habits. They often have vivid dreams, nightmares, or may even wake in the middle of the night. 4. They feel overwhelmed in crowds. This inherent trait of an Empath is also acquired by your intuitive child. The energies they picked up in crowded places overwhelm them. Listen to your child when they want to leave a busy place and check on them for possible ‘meltdown’. 5. They randomly share about their past lives. Without any intention whatsoever, your intuitive child just love to remember and share memories of their past lives as if it’s a recent happening. Or, they may be talking about some form of heaven or sky. 6. They speak how they choose their parents or family. Your intuitive child may also speak of how they come to choose you as their parent, or may elaborate reasons why they choose your family. Or, if they haven’t, they will speak why. 7. They have high sensitivity to Spirits. Intuitive children tend to see or speak with spirits whom they call their imaginary friends. These spirits could be your deceased loved ones who pay a visit. Children speak about them to let you know of their presence. – Don’t judge them and be open to their perception. – Try to listen to what they are about to say and don’t influence their words. – If they’re also an Empath, help them manage the stressful aspect of picking up the emotions of others. Provide them alone time and even teach them how to meditate. – Help them distinguish their own emotions from that of others and remind them not to feel responsible for how others feel. – Help them embrace the intuitive life and how to be comfortable with it. – Encourage them to fully develop their intuitive skills the way they would with their other talents.